The perks of living in a small town are many. And the main driver of the Steamboat economy is small business. 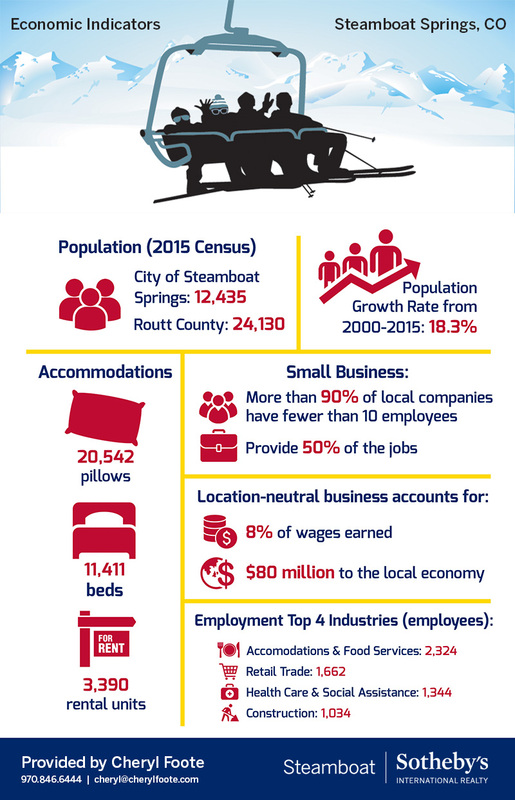 With a city population of just over 12,000 and growing, small businesses currently provide over 50% of the jobs. Location-neutral businesses in Steamboat Springs are a booming sector and drives the area's collective push for high speed broadband networking. Lodging & Food Service stands as the leading employment industry followed by Retail, Health Care and Construction. At full capacity, our tourism base more than doubles the local population, which drives sales tax revenues and fuels income.